One of the many useful aspects of Google Drive (Docs, Sheets, Presentations, etc.) is sharing. 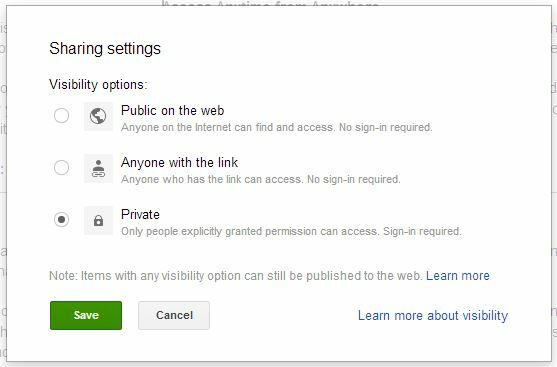 For example, when working on a Google Doc you can share it to colleagues, students, friends, or to the general public. How do you share a file? 1. Within the file itself, click on the blue Share button (top right of screen). 2. Choose how you want to share your file. 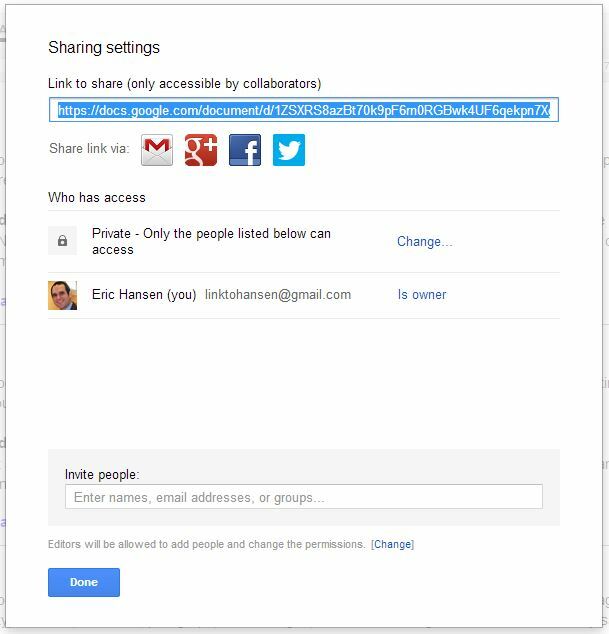 By doing this you can give rights to individual people or groups to allow them to view and/or edit your Google Drive file. 3. Press the Done button. If you’d like you can share a folder containing several files to anyone. To do so, follow these steps. 1. Check the box next to the folder that you want to share or right-click on the folder. 2. Press the button that looks like a person with a + next to it. 3. Follow my previously listed steps. Classroom Integration: If you are a Google Apps for Ed school or you want to incorporate Google Docs in your classroom, you will find have a good knowledge about sharing will be a huge benefit. Here are a few ways it will. Share a Folder with student activity templates. Share a Google Doc file for letters home about events. Start sharing newsletters to send home. Have students share files to you or your students. Have students share a folder to you of their classwork. Have students share a folder as an e-portfolio of their work. Share files with other teachers on meeting minutes, ideas going forward, or any other collaboration and communication. This list will go on, expect another post on integration ideas.